50GW of solar would be needed by 2050 if the government is to meet its climate change targets, helping to meet all of summer demand within a zero emission energy system, according to a new report. Aurora Energy Research’s latest publication forecasts the needs of the GB power system under the high renewables scenario required to achieve ambitious climate change targets by 2050, at which point the UK is aiming to reduce greenhouse gas emissions by 80% compared to the 1990 baseline level. This would require a 230% increase in low carbon generation from today’s 40GW to over 130GW, including 50GW of solar and 66GW of wind by 2050. Under this high renewable scenario, summer demand would be met and exceeded by low carbon generation, which would significantly be provided by solar, sending power prices tumbling. Conversely in winter, renewables would not be able to fully meet demand at which point gas generation and storage would come into play. This would lead to significant price disparity between seasons, with prices below £10/MWh in the summer compared to an average of around £60/MWh in the winter. With gas setting the trend during these colder periods, Aurora suggests that 10GW of battery storage would also be needed to play an increasingly important role. However, owing to the near zero marginal cost of such an energy environment, the wholesale power market would fundamentally change as prices reach a very low level, affecting the economics of building out renewable generation and storage projects. At this point, the report looks at other markets which operate under such circumstances, such as the internet, which could offer lessons to providing a zero marginal cost system requiring upfront infrastructure investment. While the UK market already operates under Capacity Market auctions, this model would need to “evolve considerably” in order to ensure that outcomes matched the country’s decarbonisation targets. 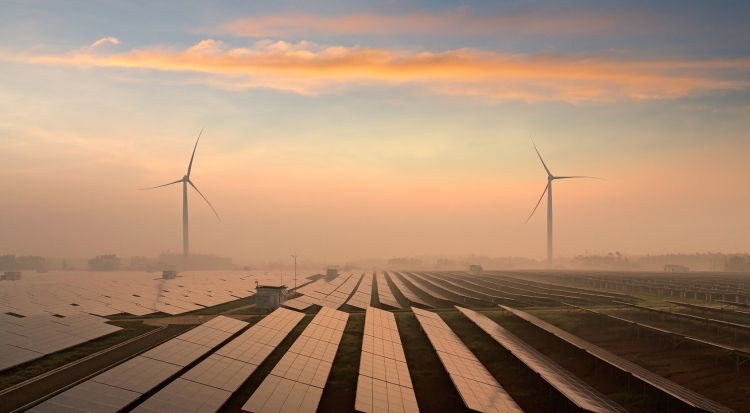 Weijie Mak, lead GB power expert at Aurora said: “Tripling Great Britain’s current low carbon generation capacity in a bid to reach ‘net zero’ in the power sector is possible, but also challenging. These issues may become essential in future planning for the UK system after the government reiterated this month its intention to ask the Committee on Climate Change to consider if the UK should set a zero emission target in order to meet the Paris climate change aspiration of limiting temperature rises to 1.5 degrees.